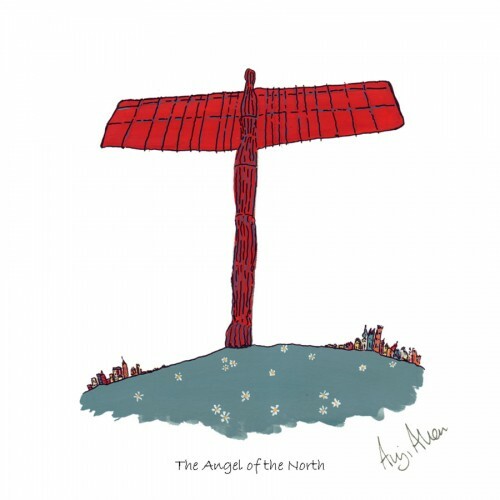 If you're an artist painting buildings and icons of local interest, the Angel is obligatory. I feel much closer to the Angel since painting it! We can produce the print or canvas in the size of your choice please contact us to for pricing on different sizes. The one that brings back memories for everyone local to Jesmond/ Newcastle. Whenever I put ..
A well known bar and a restaurant which is a funky and cool cocktail bar and popular with Newcast.. The anticipation of going to a concert at The Sage – the view just as you cross the bridge to get..
My Brother in Law works for BT and one day he invited me on a rare visit to the BT office which i..
A view in early spring of the Angel of the North at Sunset Camera used Canon 1-DX Format: Digit..